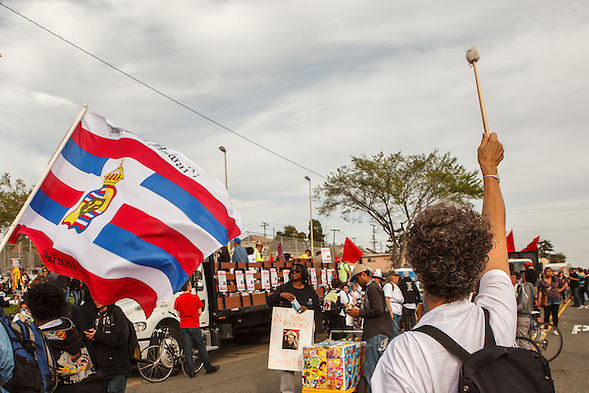 Protesters cause disruptions, sometimes unintentionally. As the photo above illustrates, disruptions create confusing messages. 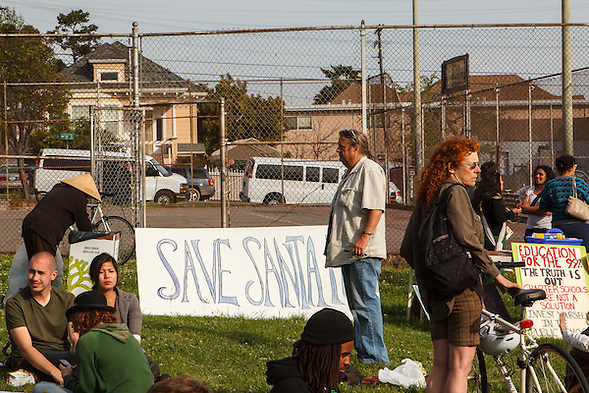 To the left, a person looks into the trash while a man blocks the word “Fe, leaving the message “Save Santa.” In March, some protesters disrupted a school board meeting, but their message confused potential supporters. The disruption affected our school also, postponing our new parent orientation and other planning for our eventual move. 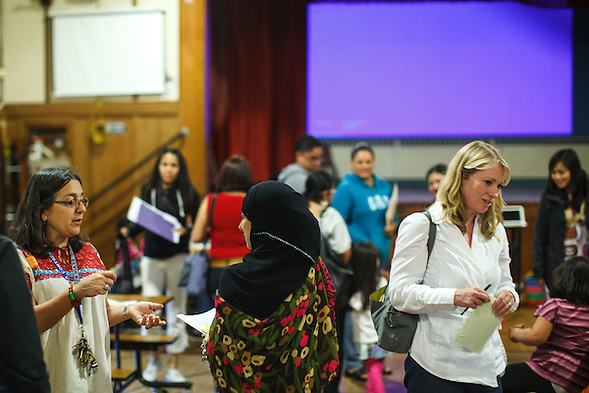 Two hours after the May Day education rally began, Melrose Leadership Academy hosted our new parent orientation. New Melrose families are already participating in our culture. Parents, many who do not speak English, are involved in their children’s education before children start school. In a few years, Melrose Leadership has outgrown its current site and we are forced to move. Since MLA is a public school, we have followed the school closures closely. We hope the entire community will minimize the disruptions to the the students, families, teachers and surrounding communities affected by closures. At the same time, the Melrose community is not waiting for Superman or Santa. We are quietly building a model urban public school. This entry was posted on Monday, May 7th, 2012 at 10:48 pm. It is filed under Journalism and News, Melrose Leadership Academy and tagged with Melrose Leadership Academy, Occupy Movement, Protest. You can follow any responses to this entry through the RSS 2.0 feed.